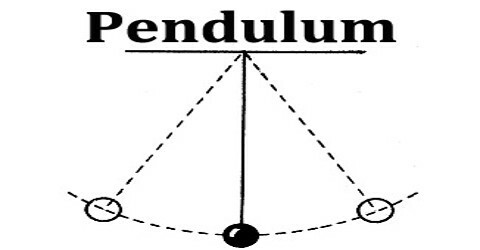 Pendulum is a mass hung from a fixed support so that it is able to swing freely under the influence of gravity. Since the motion of pendulums is regular and periodic, they are often used to regulate the action of various devices, especially clocks. It is a weight suspended from a pivot so that it can swing freely. The period depends on the length of the pendulum and also to a slight degree on the amplitude, the width of the pendulum’s swing. 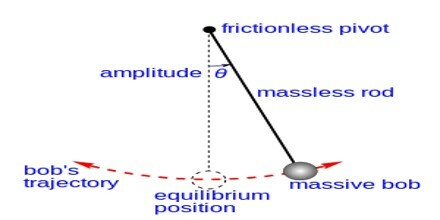 A simple pendulum is one which can be considered to be a point mass suspended from a string or rod of negligible mass. It is a resonant system with a single resonant frequency. This is a weight (or bob) on the end of a massless cord suspended from a pivot, without friction. When given an initial push, it will swing back and forth at constant amplitude. Real pendulums are subject to friction and air drag, so the amplitude of their swings declines. Pendulums are actually used in scientific instruments such as accelerometers and seismometers. Historically they were used as gravimeters to measure the acceleration of gravity in geophysical surveys, and even as a standard of length. The word “pendulum” is new Latin, from the Latin pendulus, meaning ‘hanging’. 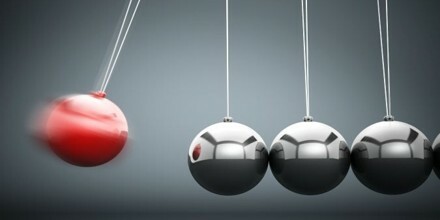 In the case of pendulum, it is the time for the pendulum to start at one extreme, travel to the opposite extreme, and then return to the original location. 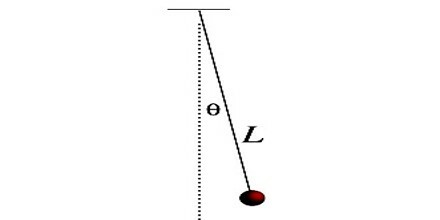 The variables are the mass of the pendulum bob, the length of the string on which it hangs, and the angular displacement. The angular displacement or arc angle is the angle that the string makes with the vertical when released from rest. 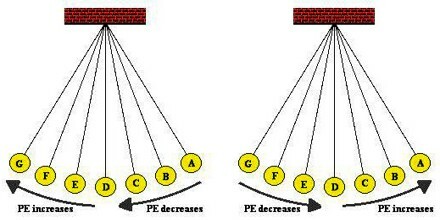 The mass of the bob was systematically altered while keeping the other quantities constant. By so doing, the experimenters were able to investigate the possible effect of the mass upon the period. The quantitative equation relating these variables can be determined if the data is plotted and linear regression analysis is performed. Pendulum motion is typically hangs vertically in its equilibrium position. The massive object is affectionately referred to as the pendulum bob. When the bob is displaced from equilibrium and then released, it begins it’s back and forth vibration about its fixed equilibrium position. The motion is regular and repeating, an example of periodic motion. There are two dominant forces acting upon a pendulum bob at all times during the course of its motion. Every pendulum is some kind of mass hung from a fixed point that swings freely by the force of gravity and remains in motion until another force stops it. The most commonly recognized use of pendulums is observed in clocks. Many clocks, most notably the “grandfather clock,” use a pendulum to tally time. 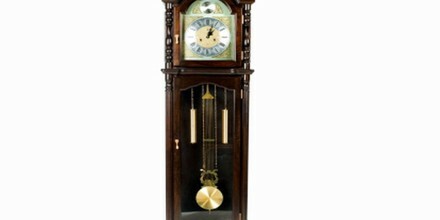 In the 21st century, pendulum clocks are most valued for their craftsmanship and beauty. The most widely used compensated pendulum was the gridiron pendulum, invented in 1726 by John Harrison. This consists of alternating rods of two different metals, one with lower thermal expansion (CTE), steel, and one with higher thermal expansion, zinc or brass. The rods are connected by a frame, as shown in the drawing at the right, so that an increase in length of the zinc rods pushes the bob up, shortening the pendulum. Pendulum dowsing and divining have been used throughout history to guide individuals in making life decisions as well as locating water, gold, oil and missing objects. It is held motionless between thumb and forefinger. Pendulum is also used in a metronome, which helps maintain the speed of music. It is a hollow box with a pendulum attached to a moving weight with a fixed weight at the bottom. A number scale allows the musician to adjust the tempo desired for the piece being played. The scale indicates the number of fluctuations per minute so the required beat can be matched with the tempo of the music. Reference: dictionary.com, physicsclassroom.com, sciencing.com, wikipedia.